It’s easy to lose sleep over money problems. Have you ever laid in bed all night tossing and turning trying to figure out how you can pay down your debt? How can you pay for your child’s college? Can you keep up with your medical bills? At what point did your debt become too much to handle? When credit card debt is left unpaid, the once affordable payment becomes unmanageable on top of all other money demands. Money emergencies will strain your credit worthiness or steer you towards alternative options like direct payday lenders online in order to make it through to the next paycheck. How do you support it all? How do you make it better so you can finally sleep at night? Using payday lenders cash online as a way to dig out of debt is a wakeup call to any sleepless night. Oh wait, you weren’t sleeping anyway! Short-term loan debt on top of all the rest will only make matters worse as they are not geared to support debt problems. These fast cash advances are best used when the money makes a positive difference in your money matters. In other words, it is important to use them in a cost effective way rather than ignoring the price of the loan. Because this loan is expected to be paid off in just a few short weeks, it’s important that the end justifies the mean. There are many reoccurring expenses that cannot be avoided. The ones you can avoid tend to be the ones that cause the most problems. Do your sleepless nights have anything to do with all that credit card debt? Maybe you are trying to figure out how you can afford to pay off your short-term loan without needing to take out a new one. One of the problems in today’s society is that quick fixes will not correct big problems. 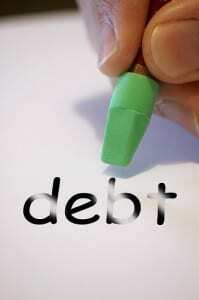 If you are serious to fix your debt problems, you will have to work on solutions which do not carry additional debt. Instead of seeking help to expand spending power, decreasing budget demands would help more in the long run. Direct payday lenders lend small short-term loans. No one likes to be uncomfortable. It may be very inconvenient to cut back on certain budget categories. If inconveniences bring sleep back into the night and correct budget problems, you are looking at the right kind of solution to your problems. Get together with the other members of the household and address the problem together. If you have a spouse that is usually not involved with family finances, it is time to break that habit. Teamwork is best if you are going to spend less as a family. Work your way through the budget and discuss ways to lower costs. Any money that you can save from monthly expenses should be used to pay down debt (highest interest first) and start a savings account. The more money you can put aside for future emergencies the more progress you will make towards lowering debt. You never know when emergencies will pop up and if you don’t set money aside for them you will end up bringing more credit card or payday direct lender debt back into the mix. Avoid setbacks by making your own emergency fund. This entry was posted in direct payday lenders and tagged direct payday lenders, direct payday lenders online, payday direct lender, Using payday lenders cash online. Bookmark the permalink.